Rent a Scanner for your own Scanning, Backfiling, or Archiving! We provide a custom solution for your project by assessing a proposing the right Document Scanner best suited for your needs. Most Backfiling (Archiving) Projects require a very expense, powerful and robust scanning solution to capture the large volumes of documents in your project. At the end of a 3–6 month project, you might be left with too much scanner that is too large for daily scanning needs. Renting a Scanner & Solution is a great way to realize an ROI for your Project(s). Renting a High Speed Scanner provides you with the Tools at the right price for your short-term scanning project(s). Speak to one of our specialists by filling out the form. 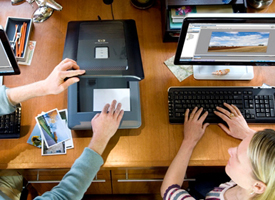 If you don’t have the personnel to tackle the document imaging project, let us do it for you. We will pick up your documents and we will digitize them at our secure facility. Once complete, the documents will be returned along with a digital copy in the format you requested or hosted securely online. Want us to Scan for You?